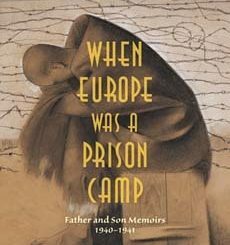 A fascinating and cautionary examination of how genocide can take root at the local level—turning neighbors, friends, and even family members against one another—as seen through the eastern European border town of Buczacz during World War II. For more than four hundred years, the Eastern European border town of Buczacz—today part of Ukraine—was home to a highly diverse citizenry. It was here that Poles, Ukrainians, and Jews all lived side by side in relative harmony. Then came World War II, and three years later the entire Jewish population had been murdered by German and Ukrainian police, while Ukrainian nationalists eradicated Polish residents. In truth, though, this genocide didn’t happen so quickly. In Anatomy of a Genocide Omer Bartov explains that ethnic cleansing doesn’t occur as is so often portrayed in popular history, with the quick ascent of a vitriolic political leader and the unleashing of military might. It begins in seeming peace, slowly and often unnoticed, the culmination of pent-up slights and grudges and indignities. The perpetrators aren’t just sociopathic soldiers. They are neighbors and friends and family. They are human beings, proud and angry and scared. They are also middle-aged men who come from elsewhere, often with their wives and children and parents, and settle into a life of bourgeois comfort peppered with bouts of mass murder: an island of normality floating on an ocean of blood. 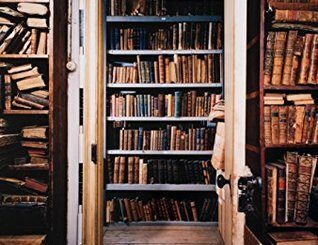 For more than two decades Bartov, whose mother was raised in Buczacz, traveled extensively throughout the region, scouring archives and amassing thousands of documents rarely seen until now. He has also made use of hundreds of first-person testimonies by victims, perpetrators, collaborators, and rescuers. 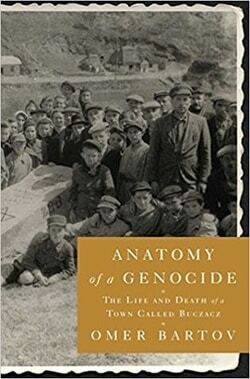 Anatomy of a Genocide profoundly changes our understanding of the social dynamics of mass killing and the nature of the Holocaust as a whole. 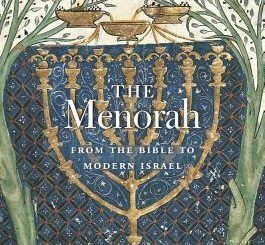 Bartov’s book isn’t just an attempt to understand what happened in the past. It’s a warning of how it could happen again, in our own towns and cities—much more easily than we might think.